Why have your TV dominate the room? 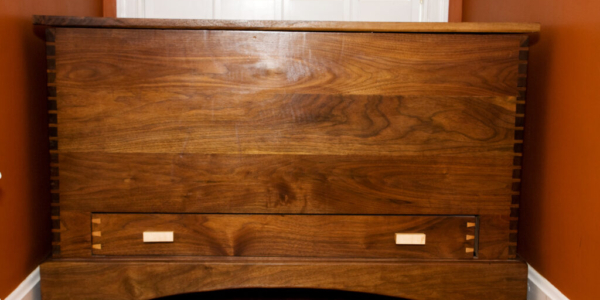 Through the miracles of modern technology in our labs, your monitor could be kept hidden when not in use so your room looks cleaner and more elegant. 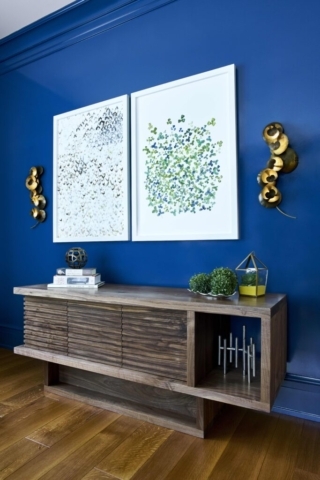 Whether space is at a premium or not, this mid-century modern hidden TV credenza will look beautiful in your home. 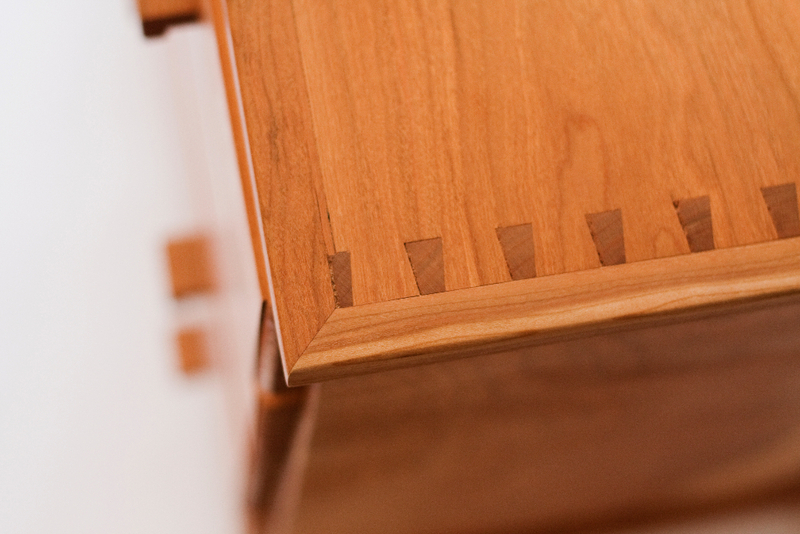 Note the crisp lines and cantilevered sides, with the obligatory space for your display vase. 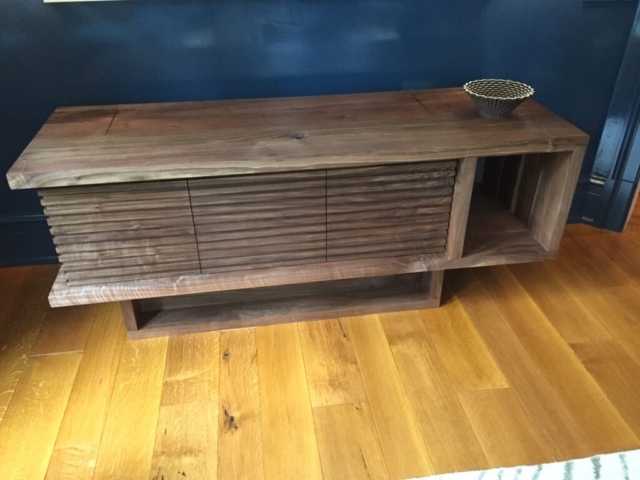 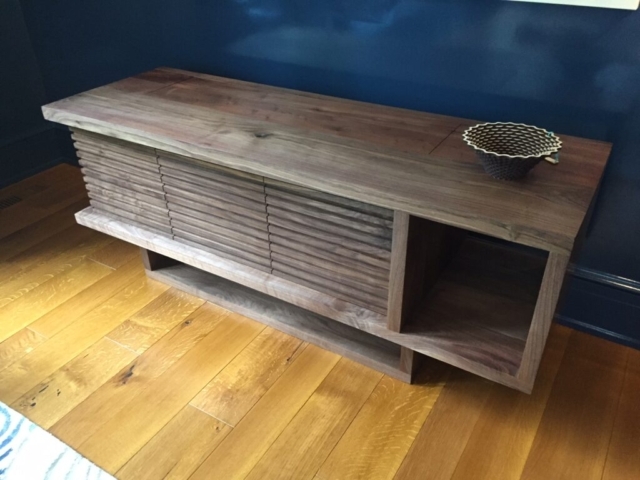 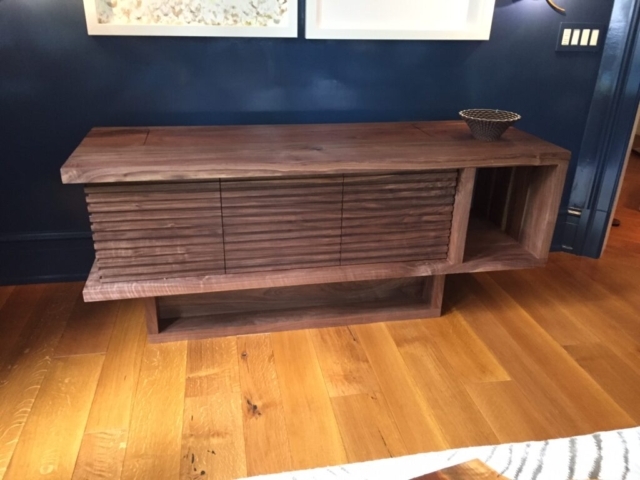 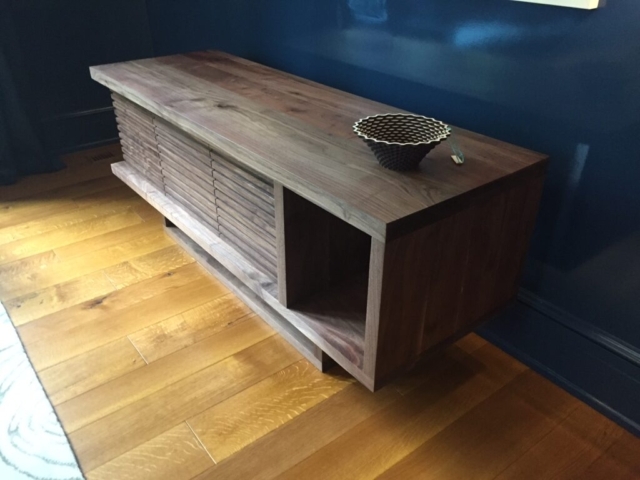 Partnering with Nexus 21, the leader in TV Lifts and also made in the USA, we created a timeless and classic Bauhaus look that provides storage in the front of the TV behind the louvered doors, and just enough room in the back to store the television. 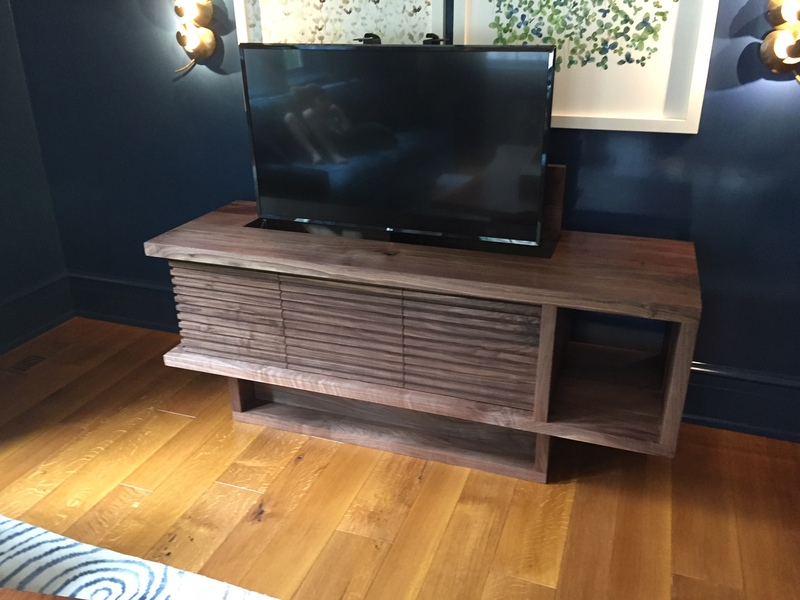 The TV lift travels up and down at about 1.5″ per second, and our hardware quietly opens and closes the hinged top cabinet. 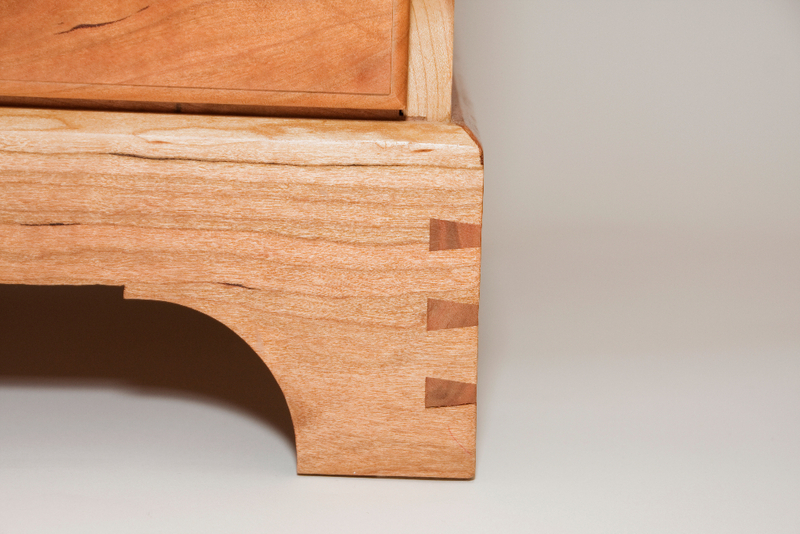 This can be custom made to fit almost any modern television or computer monitor. 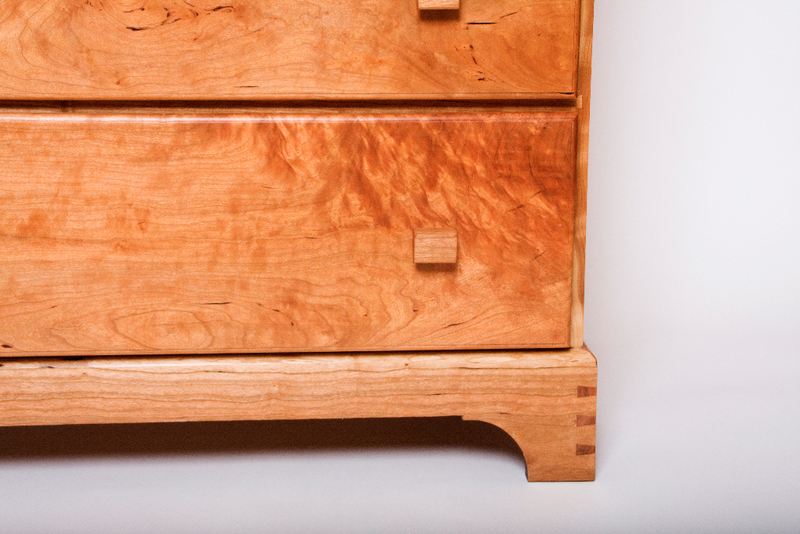 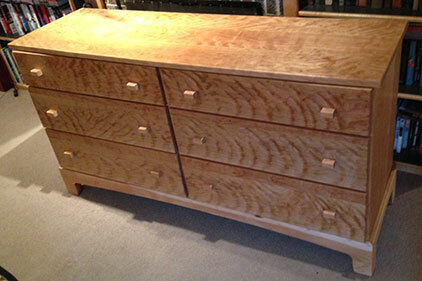 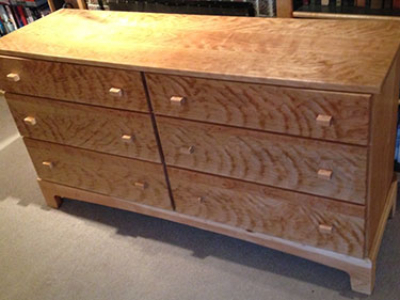 Inspired by Michael Pekovich’s design, this curly cherry chest of drawers is an heirloom piece. 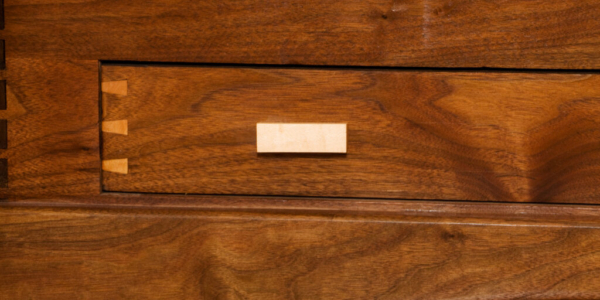 There are 206 dovetails in this chest, ranging from stunning (sides joined to top), to the subtle (drawer stretchers), to the hidden, to the expected (drawer fronts and backs), to the deceptively-complex (the base’s double-mitered through dovetails to fakie). 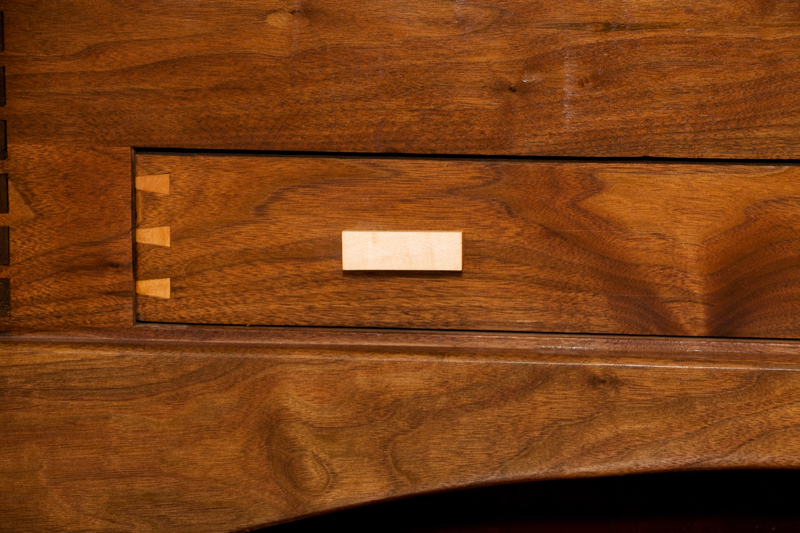 You will see the concepts of Continuation of Form in the drawers’ graduating heights and the drawer pulls’ graduating widths. 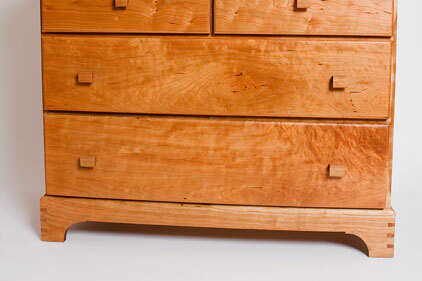 Inspired by Rhode Island watermen of yesteryear, this chest features a cedar-lined interior and dovetailed drawer. 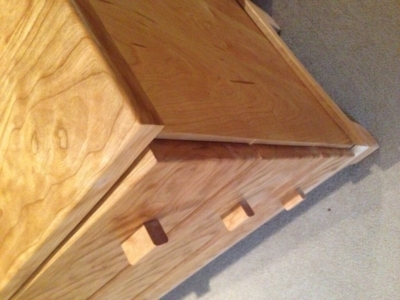 Dovetailed sides add complexity to this deceptively simple-looking piece. 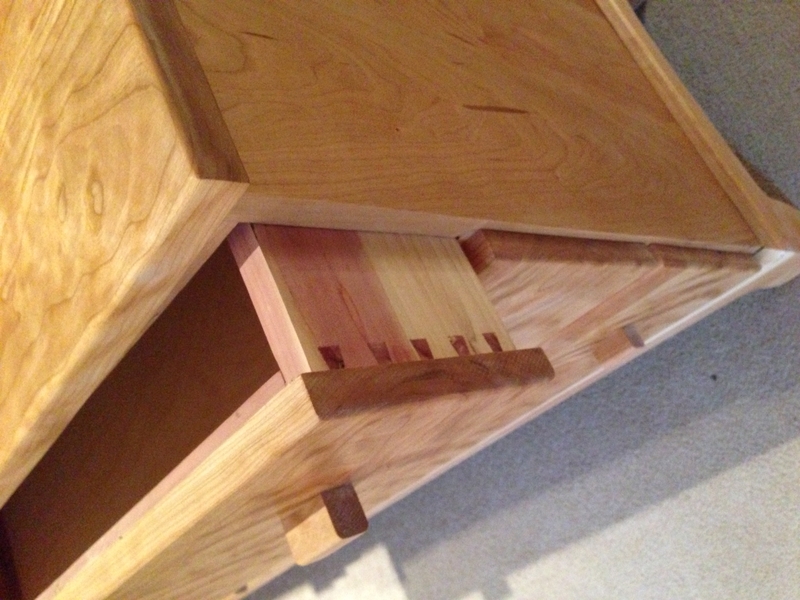 Sharp-eyed New England artisans may recognize a “wicked pessah” dovetail conundrum for the drawer’s joinery. 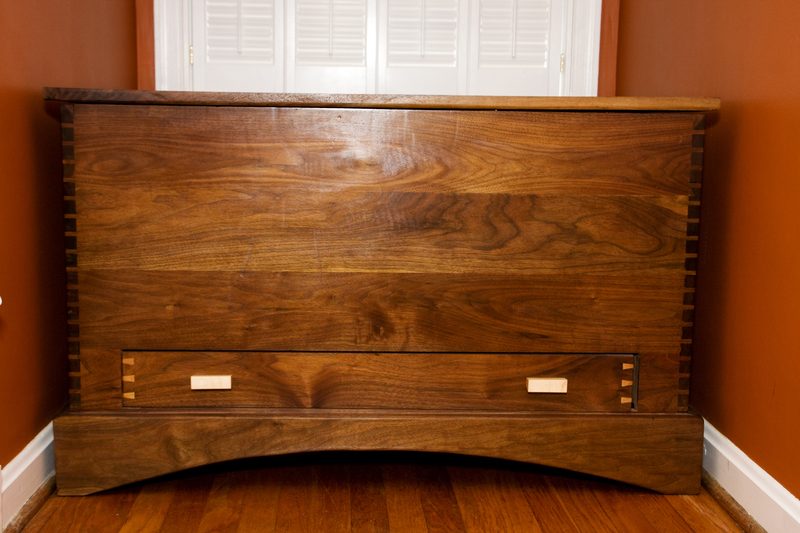 This handsome 6-drawer chest of drawers made from Virginia Curly Cherry displays subtle curves in an heirloom furniture piece. 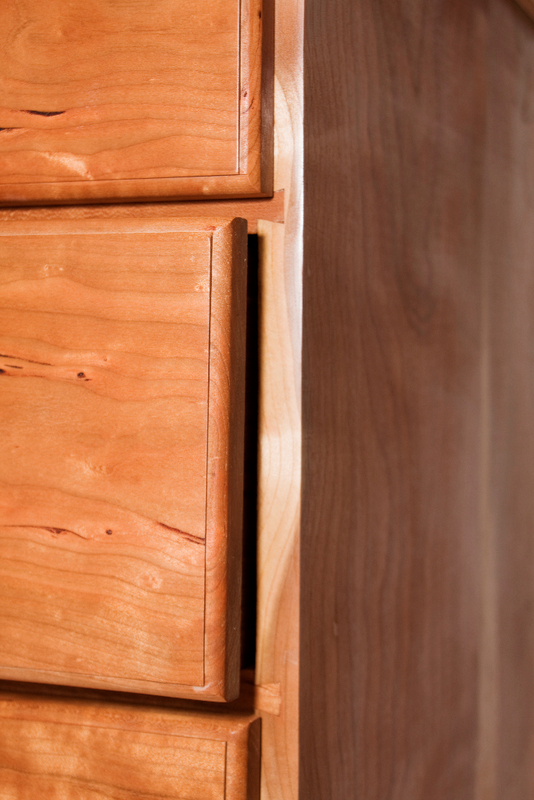 Subtle details include graduated heights of the drawers to please the eye, with slightly taller drawers on the middle and subtly even taller for the bottom two drawers. 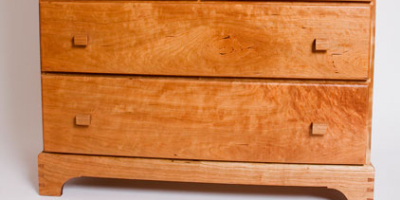 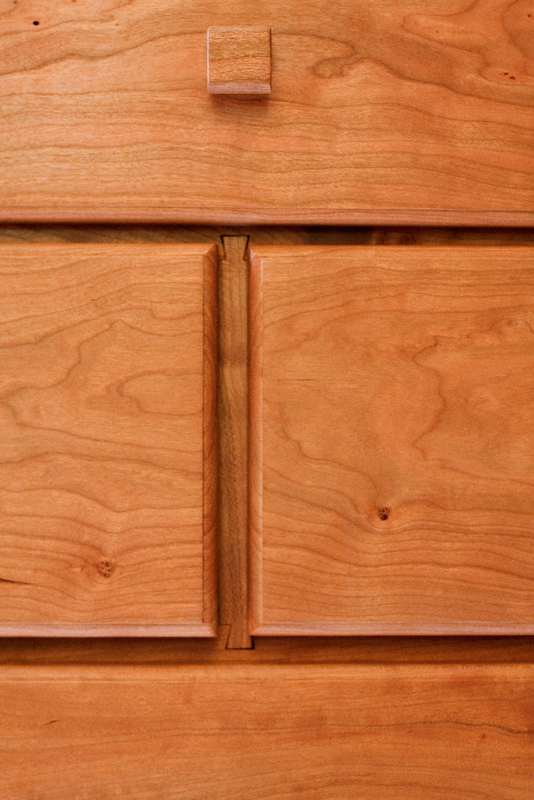 Once you open the drawer, your senses get impacted even more with the dovetailed aromatic cedar, not only beautiful, with a great smell, but sure to fend off all things not good to your clothing.